Here’s an easy step to answer the iPhone calls to Speakerphone automatically. Sometimes when you are gettings calls on your iPhone, switching to loudspeaker from normal time to time is a little bit difficult. Like when you are driving the Car, busy to pick up the call when using the laptops or any other things. iOS has a Call Audio Routing feature which is packed in the Settings app. Just follow the steps to set all calls on speakerphone automatically. 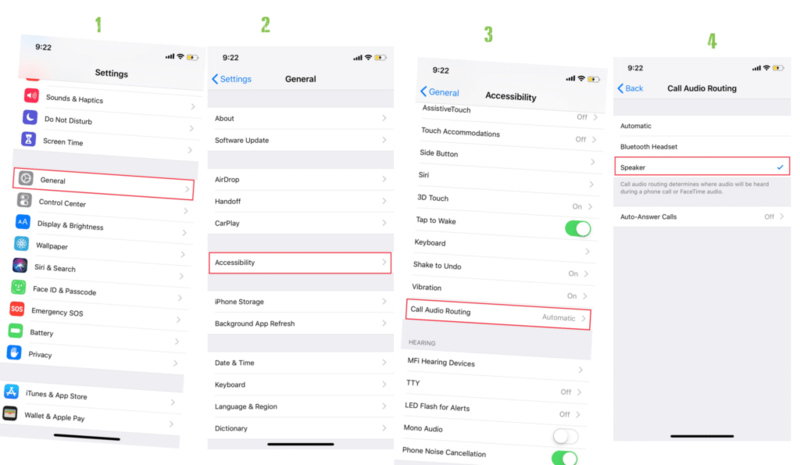 Step 1) Launch your iPhone Settings > Tap General and then Accessibility. Step 2) Next Scroll down to and select Call Audio Routing. Now, you have set your all calls to Speakerphone or in Loud Speaker. So when you receive a phone call from the next time, it will put your incoming calls on Speaker automatically when you answer it. Similarly, You can revert the current settings to normal by selecting the option to Automatic. Also if you use the Bluetooth headset or Apple AirPods then you can select the Bluetooth device which then it will automatically answer the calls on your Bluetooth devices.